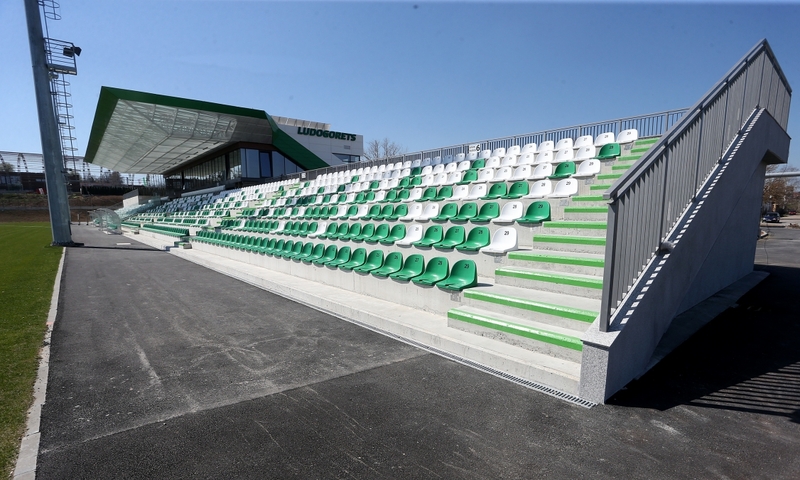 The young talents from the Ludogorets Academy are already enjoying the unique opportunity to be able to train at the renewed and expanded modern training facility of the club, which costs more than fifteen million leva in total investments. On the disposal of the players from all ages there are nine fields, six of which have natural grass covering, and the rest feature an artificial one. The covering has been supplied by the leading companies on the market and not only does it provide the best possible conditions to play football, but it also reduces the risk of injuries. All of the fields are equipped with illumination and a drainage system, while a few of them have a heating system and can be covered during the winter. There is a special training course designed for the goalkeepers to use. The facility also features new locker rooms, training rooms, and a fully-equipped gym complete with a recreational and medical center, which is due to be filled with the latest medical equipment in order for the players to receive the best possible care from the club’s doctors and chiropractors. The first of the fields in the new base has an impressive 2000 seats, as well as a separate sector for fans of visiting teams.